Chinese LED packaging company Nationstar has demonstrated its Mini LED applications at Display International, Touch Taiwan and announced its plan to sell its subsidiary at the latest conference call on September 5th. Nationstar established a Micro and Mini LED research center in March this year and claimed its determination to realize the advanced display technologies at the soonest possible time. 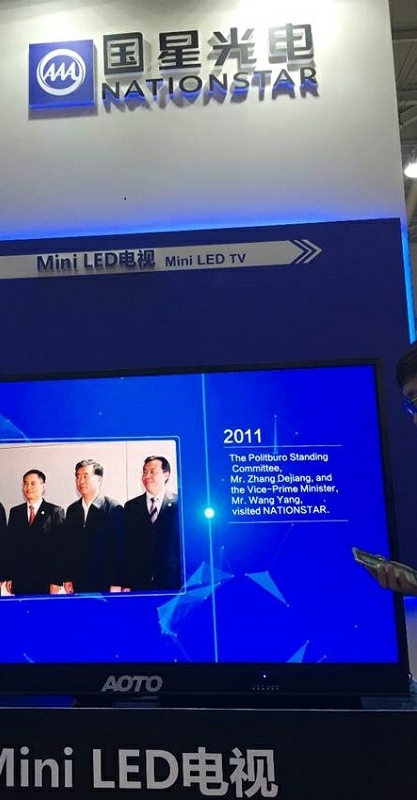 Afterwards, Nationstar revealed its collaboration with oversea partners in developing Mini LED backlight applications in displays of various sizes including mobile phones and TVs. According to the company, it began mass production of Mini LED products in June. At the display show, Touch Taiwan, held last week, Nationstar presented its Mini LED backlight products including automotive displays, mobile phones, monitors and tablets, indicating its on-going progress of Mini LED technology development. The company has launched a Mini LED package which includes four RGB LEDs. With the technology, the number of LED pins and solder joints can be reduced, leading to better reliability. On the other hand, Nationstar has reported its plan to sell 100 percent share of its subsidiary with the selling price to be determined. The business operation of its subsidiary includes LED components production and sale, LED display, solid-state lighting luminaries and others.